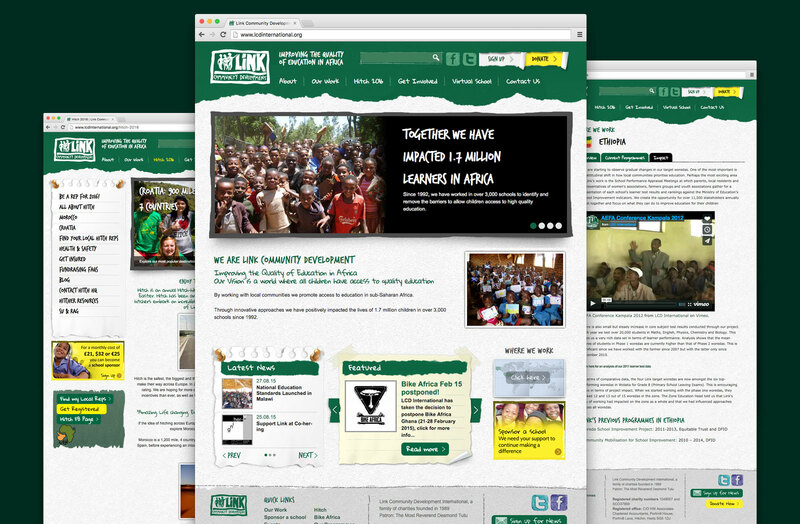 Link Community Development is an education focused NGO working to improve the quality of education in sub-Saharan Africa. Link works at all levels of the education system – with communities, schools and governments – to identify and remove the obstacles to quality education. 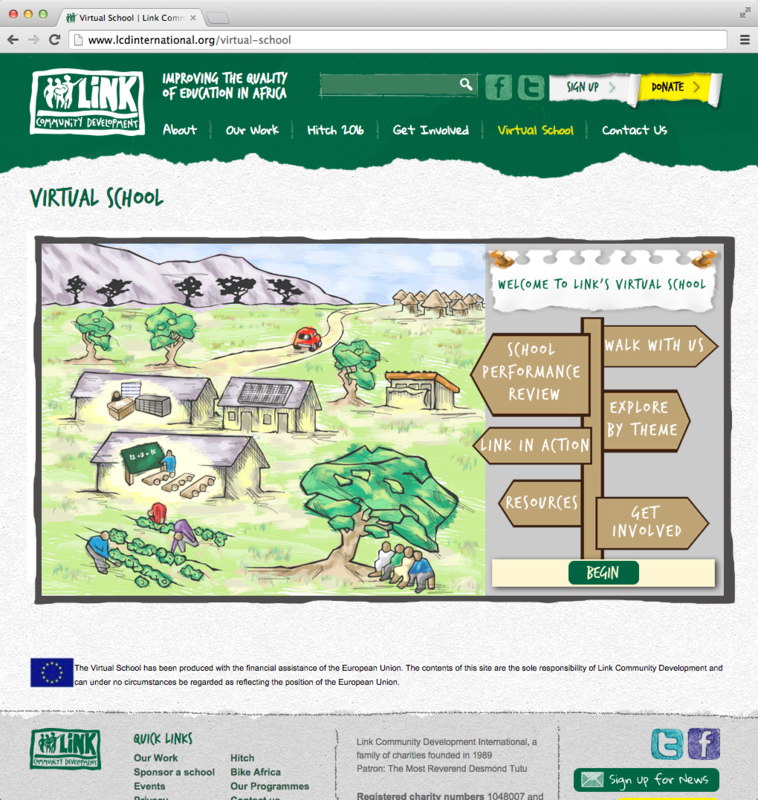 We also work with schools in England, Wales, Scotland, Ireland and the USA to build support for development and awareness of global issues via our Link Schools Programme. In partnership with a London agency we redesigned the website to produce a cleaner, less cluttered look and feel with a clearer presentation of Link as a group. 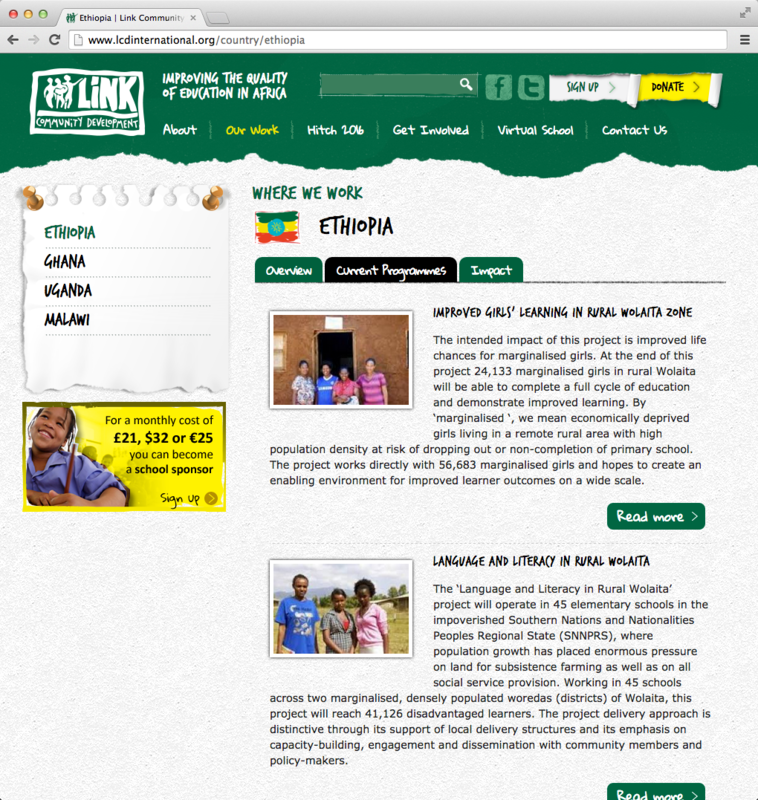 The strcuture of the site had to house a lot of information for different countries to access. The design we produced focused heavily on features associated with the classroom such as scrap paper, hand written fonts, pencil drawn lines and pins etc.